Here's what to do when the rain won't go away. For the days when it's a million degrees and raining out, don't let the wicked weather keep you two from your regularly scheduled date night plans! Here's how you and your beau can get out and have a good time (even if it isn't outside). 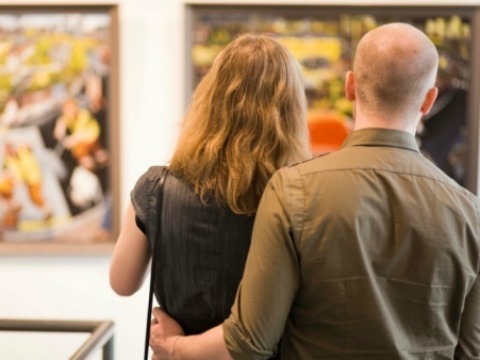 Sure, you live in an awesome city with plenty to do — but just how many times have you and your partner actually taken in all the exciting art around you? Chances are — not often enough. Instead of letting the rain ruin your plans, check out the latest exhibit in your area. Whether it's a huge museum with lots to look at, or a local gallery to explore, it’ll feel good to do something out of the ordinary. Also, lots of local places serve free wine and cheese will you peruse the work (bonus!). Staying home just got a whole lot cheesier. (In a good way.) Skip the expensive dessert menu at your favorite splurge-worthy restaurant and whip up something at home that you can both enjoy. Whether you use cheese, chocolate or some other fondue drizzle, you two will have fun finger-feeding each other. 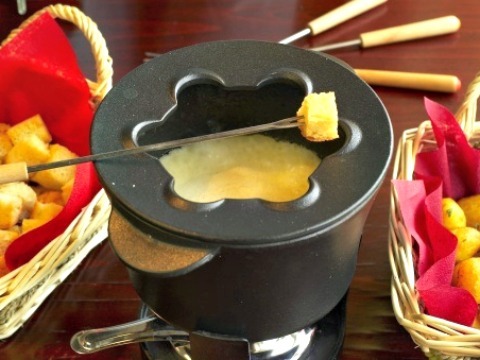 Not sure fondue is a natural aphrodisiac but, hey, whatever works! Roaming the halls looking at art not really your thing? Become your own Picasso then! 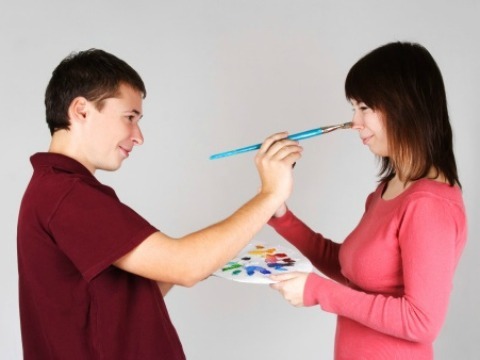 There are tons of galleries that offer "Couples Nights" activities where you can BYO-wine and paint (just make sure you color within the lines, okay?). Or DIY in your home ... just make sure you put newspaper on the floor. It's a new take on the traditional date night, but perfect for those nights when Mother Nature puts your plans on hold. On your way home from work, pick up a bottle or two of champagne and get ready to get competitive! Challenge your partner to an all out war to see just who beats who when it comes to your favorite games. Apples to Apples? Taboo? Keep the bubbly flowing — you'll have fun! Promise. For a little added adventure, invite friends over too and make it a couples date night. The more, the merrier, especially when it comes to games that involve partners and teams. On those gross summer nights when the rain is still warm, there's no fun in leaving the comfort of the couch. Amirite or amirite? So instead of venturing out, bring the exquisite menu to your own table. Plan a festive meal from start to finish and prepare it — together. Added bonus? There'll be no surprises on the bill. When the weather is beautiful out, how many people actually want to go sit in a cold theater for two hours? No, you'd rather be at the beach. But on those rainy days, take advantage of what's playing. 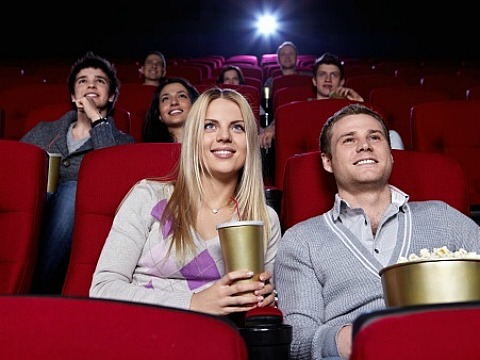 If you're feeling naughty, leave work earlier to catch a matinee. Question: Who actually goes bowling anymore? Answer: You do. While it might not seem like your immediate go-to rainy day date plan, planning a bowling outing is a good way to do something different and still have fun together. Challenge your partner to a match (best out of three, anybody?) and winner picks up the bill. Order a round of wings and some beers and you won't even miss the sunshine.